What a contrast with yesterday's pic! :o)Back to breath and beauty! Hmmmm. Not so sure. 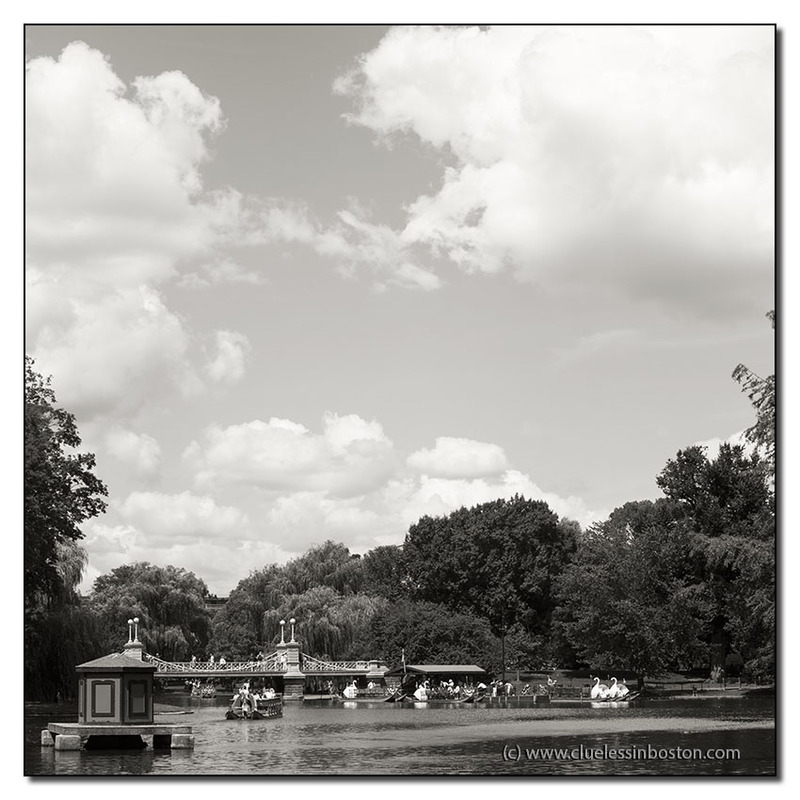 The Public Garden and the swan boats are so colorful, and it looks like you had a great sky. Why did you decide to show it in black and white?